Keep checking this page for regular updates about our learning and to see some photographs of what we have been up to. Email your teachers! We are always interested to hear from you too... your comments help to inform our overall assessments of your children and plan next steps in their learning. Fill in the comment box below to let us know how the children got on with the recommended activities (below) or if there is something exciting you want to tell us about their learning at home. We love hearing all about what they have been up to! On a large sheet of paper, make two ‘fields’ (or build enclosures with bricks / lego etc). Ask your child to distribute the animals between the two fields. How many different ways can this be done? Help make a list of the resulting sums: ie 3 + 7 = 10. Stress that there are always ten animals, even though the fields look different each time. (Your child might prefer 10 cars in 2 car parks.) To extend this activity, challenge your child by hiding one of the fields. If there are 8 animals in one field, how many in the other? Have lots of fun playing games with patterns. Challenge your child to create a pattern of body percussion for you to follow; you create a pattern for your child to follow (ie clap, stamp, blink your eyes; clap, stamp . . .) Do the pattern but leave out an action – what was missing? Use kitchen equipment like cutlery/cups to create patterns together; remove one item and see if your child can tell you how they know which item is missing. Find patterns together when you are out and about, in signs, logos, fencing and stonework in houses and shops. 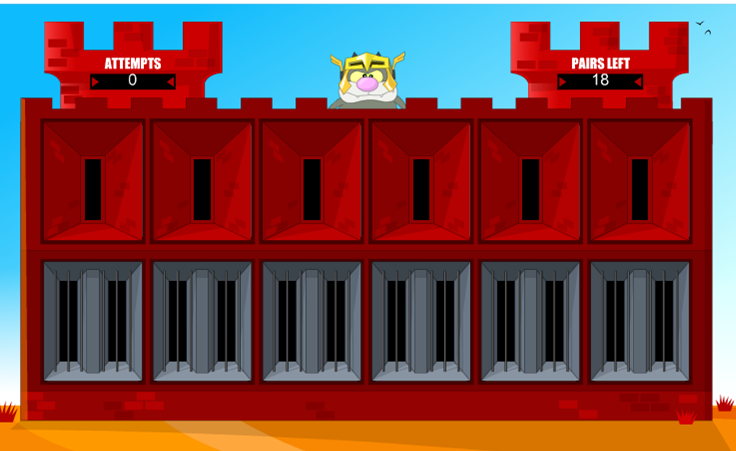 To extend this activity: look at a hundred square (http://www.primarygames.co.uk/pg2/splat/splatsq100.html) and explore number patterns in the rows and columns – talk about why these patterns might appear. Shake out a small amount of paper clips and count with your child in 2s to find an even number, starting with 4. Help your child create a paper clip chain by linking the clips. Hold the chain flat and challenge your child to find ‘half’ of the chain and unclip it. How many paper clips in each half? How many did you begin with? Continue with larger amounts of paper clips. Encourage your child to write down their findings: half of 6 is 3, half of 8 is 4. Can they see a pattern? 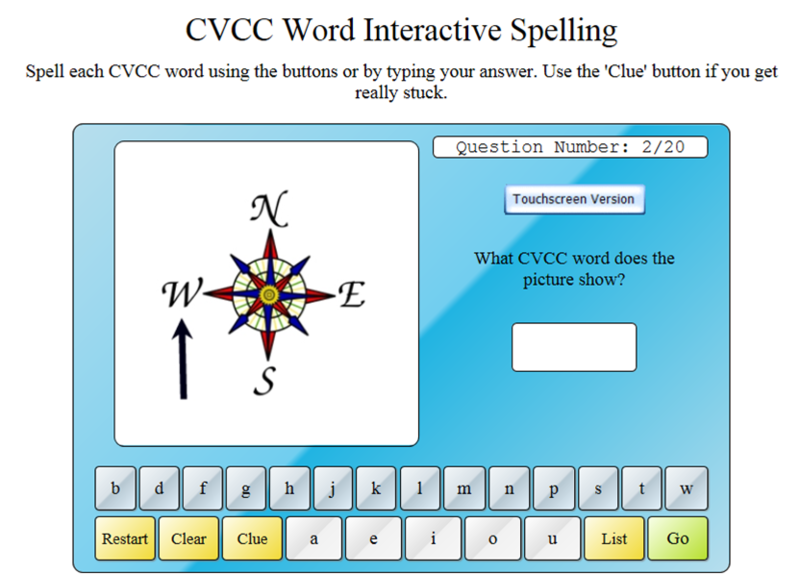 We have been learning how to spell consonant, consonant, vowel, consonant (CCVC) words. It's sometimes tricky to spot the second letter's sound. 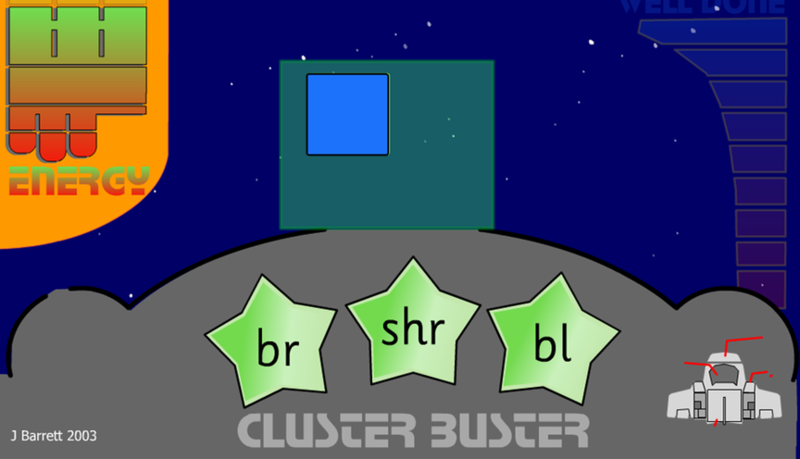 In this game you can race the asteroids to spot the correct start sounds...have fun! Let your child pick up a small handful of pennies. Let them count up the pennies and then invite them to ‘double their money’ by choosing out the same number of pennies and adding the two amounts together. Can they predict how much they will have? Let them count the new amount to check. Encourage the language of addition: 3 pennies add three more pennies equals six etc. If your child is confident to predict the doubles sums, encourage them to write their sums down. During the week, use meal times to talk about sharing. Can your child take 12 carrot sticks or grapes and put them on four plates so that each plate has the same number? If you cut a pizza into 8 slices, how many slices will each person get? What if somebody else joins you – can your child redistribute the food so that everybody gets the same? Encourage lots of discussion about sharing and dividing. Extend this activity by making the challenges more formal. Cut an apple into 12 slices and ask your child to divide them between six plates; then four; then three; then two. Ask them to explain their thinking as they redistribute the slices. Eat two slices. Repeat the challenge! Can your child explain what has changed? How can they solve the problem of ‘left over’ slices? 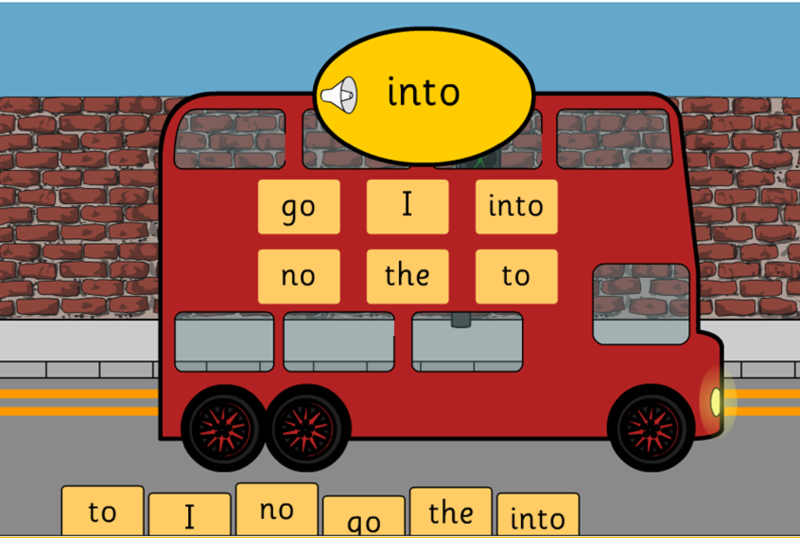 We are learning new tricky words every week and here's a great activity (linked with the transport theme) to help practise them... two levels of difficulty on this one too! Enjoy! Help your child write the names of the different 3D shapes in a list on the paper. Now go around the house and see if you can find items which match the shapes. Look at boxes and tins in the cupboard, blocks and pens, books and small appliances. Each time your child identifies a shape, they can put a tick next to the name. Which shape is most common in your house? Whilst focusing on all of those digraphs this term, don't forget those tricky words from last term... here's a great website to help you to practise them. There are two levels... one to listen, look and match and one where you just have to listen and spot the word. These are really useful words to just know off the top of your head! Home activity: What’s in the drawer? Invite your child to choose a drawer (ie cutlery/sock drawer) with between 12 and 20 objects in it. Challenge your child to estimate how many forks? How many knives? Write the estimates down on the clipboard, and then talk about the objects. Are there more spoons or forks? Do the estimates reflect this? Now count each set of objects. Were the estimates correct? Ask your child to close their eyes and remove some objects – can they estimate now? Try to encourage informal estimation throughout the day – how many carrots on my plate, how many cars on the road mat, how many teddies on my bed, how many books on the shelf? There have been lots of tricky digraphs (two letters, one sound) to think about this half term... this game is a great way to practise them... choose the digraphs you would like to focus on and... CLICK! Pop the balloons to catch as many of them as you can... click on the link below to start playing! In our maths lessons w/b 1st and 8th February. We have continued to think about subtraction and are now using a number line to count backwards. Why not make a huge number line with chalk outdoors and ask your child to 'jump' back 1, 2 or 3 spaces? Can they tell you the subtraction sentence using correct language? Can they set you a subtraction sentence to 'jump'? We have been continuing to think about those tricky digraphs (two letters, one sound). Over the past two weeks, we have focused on 'oa' and 'ai'. 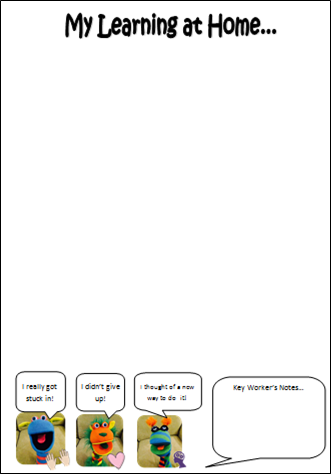 In the game below, select phase 3 and then either oa or ai and see if you can sort the real words from the nonsense ones! Work together to ensure there are 10 items in each bowl. Now take turns to roll the dice. You must give that number of items to the other person. Can your child predict how many items they will have when they have taken away the required amount? Encourage your child to say the sums using correct language ie ’10 minus 7 equals 3; 6 subtract 2 equals 4; 8 take away 4 makes 4’. 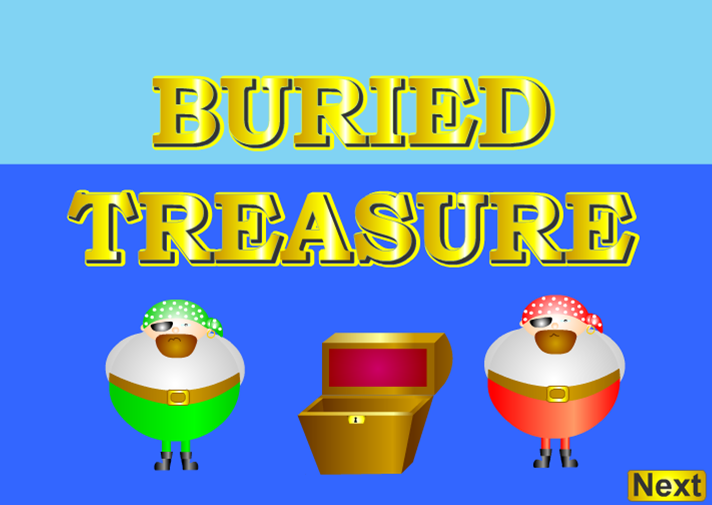 Play until one person has all 20 objects. We've been learning the digraphs 'ee' and 'oo'. 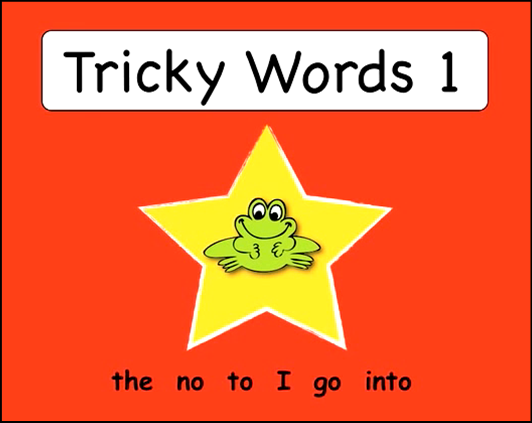 Try this game to practise spotting words containing them (it also looks at 'ai' too). Trace around the circle to make a large clock face out of the card. Using a real clock as a guide, help your child to write in the numerals 1 – 12. Cut out two hands and use the split pin to fix them into the centre of the clock face. Practise setting the clock to different o’clock times. Look around your house and find all the different clocks, including digital displays on the cooker/TV/computer. See if your child can read out all the numbers. Find a clock with a second hand and challenge your child to count to 60 in exactly one minute! In our Maths Lessons this week, 5 – 9 January 2016 . . .
Home activity: How many cups? Outside, in the bath, or near the kitchen sink, let your child fill a jug with water and estimate how many cups they could fill from the jug. Ask your child to set out the estimated number of cups and fill them carefully with water from the jug. How many cups have you filled? Now challenge your child to only half fill the jug. How many cups will the jug fill now? Reverse the activity: how many cups of water to half fill the jug? How many to fill it? What if the cups are only half full? Encourage lots of conversation about capacity. In phonics, we have learned the new phonemes ch/sh/th and played lots of games with them... Why not try this game at home? In our Maths Lessons this week, 7 - 11 December 2015 . . .
Look at the packets and tins. Ask your child to pick them up in turn and decide which is the heaviest and which the lightest. Check by weighing on a set of scales. Think about why a box of Rice Krispies might be lighter than a jar of jam. Can you order the items of food by weight, lightest to heaviest? This takes good problem solving skills! 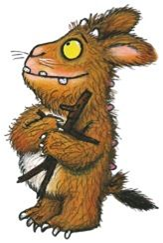 In our Maths lessons this week, November 30 – December 4 2015 . . . Draw a snake with 20 segments and number them from 1 to 20 with 20 at the head. Place a treat on each section, so the numbers can be clearly seen. 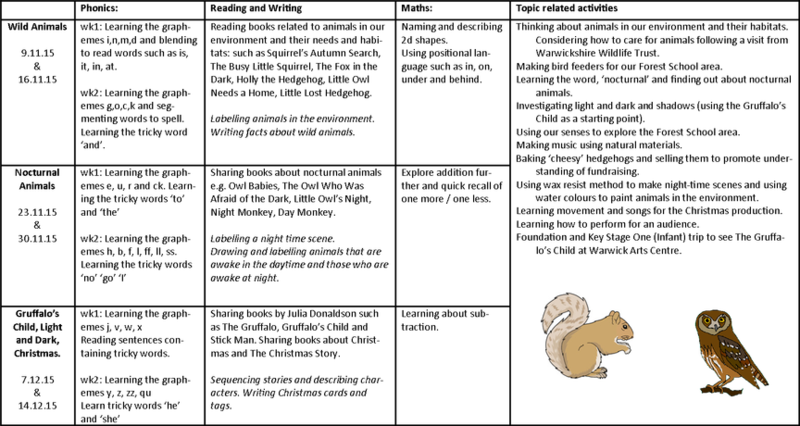 Start at 20 and move backwards by tossing the coin: heads eat one treat, tails, eat two. Encourage your child to say how many treats will be left, by looking at the numberline. Try to use the language of subtraction: 16 raisins, take away 2 equals 13 raisins. In our phonics work we are applying our blending and segmenting skills to read words with the letters we have learned so far. 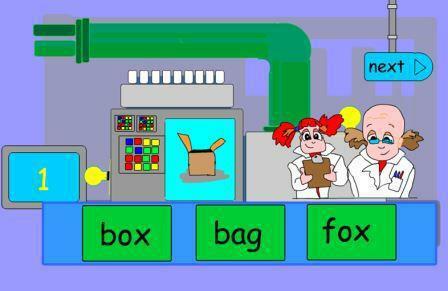 Try this website - can you find the word to match the picture on the reading machine? In our Maths lessons this week, November 23-27 2015 . . .
Write the numbers from 1 – 12 (or up to the number of stairs in your house) on the back of old greetings cards. Place each card on the side of a stair. Taking care, encourage your child to jump up the stairs, saying the numbers as they jump. Alternatively, lay the cards along a garden path. Ask your child to start on any number and then, with their eyes closed, say what one more than that number is. Open their eyes and hop onto that number – were they correct? 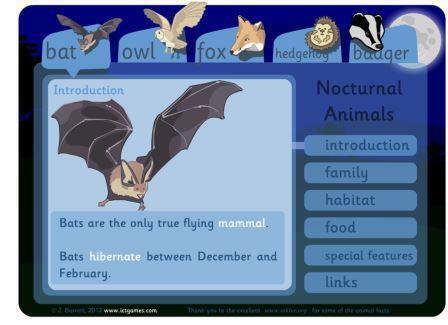 In other aspects of our learning we have been finding out about nocturnal animals... check out this website to find out more about animals of the night! Ask your child to hide a teddy bear somewhere in a room while you close your eyes.Explain that they should now use words like ‘under’, ‘on top’, ‘beside’, ‘in front’, ‘above’, ‘below’, ‘between’, ‘on’, and ‘in’ to describe where the teddy is so that you can find him.Teddy is sitting on the settee but he is behind the cushion. Can you find him? Teddy is under the chair that is next to the telly. Repeat, swapping roles. We are continuing to learn letter sounds (phonemes) and their corresponding graphemes (the way the letter(s) look). 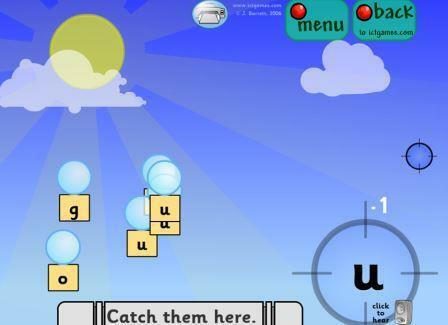 This website is a great way of remembering new letters - select the set you would like to play with and then click to pop the balloons. How many can you catch? Enjoy! IN OUR MATHS LESSONS THIS WEEK (9 -13 November 2015) . . .
You need: paper, pen, scissors, blutack. Draw a triangle, rectangle, square and circle on the paper and cut them out. Now blutack one of the shapes on your child’s back. Give your child paper and a pen and describe the shape without giving its name. Tell them how many sides, how many corners, whether all the sides are the same length etc; can they draw the shape? Does it match what is on their back? Now reverse roles so that your child is giving you information about the mystery shape. Help them to use accurate language to describe the shape. 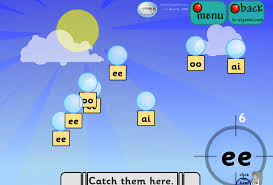 In phonics this week, we learned the first two sets of graphemes (s,a,t,p,i,n,m,d). This game can help to reinforce these letters. Simply click on two doors to open them. If the initial letter matches the picture, it's a winner! If not, try again. How quickly can you match up all of the pairs? Open Afternoon and Bake Sale! Many thanks to all of you who managed to make the open afternoon and bake sale. It was an absolute pleasure to see the children so enthused about their environment and their learning. If you didn't make it, don't worry, we hope to do more open sessions throughout the year. Thank you also for your kind donations when purchasing our cheesy hedgehog loaves and bird feeders. We raised an amazing £65 for Warwickshire Wildlife Trust which means we will receive a special hedgehog home to help to do our bit to support the Byron Road hedgehog population! Thank you for your generosity. Some of you said that you would like to try making the bread at home so please find the recipe attached below. Happy baking!! Last half term, our phonics focus was rhyme, alliteration and blending. We found these websites really helpful to support our learning. We thought the children might like to continue playing with them so have left them here for you... enjoy!